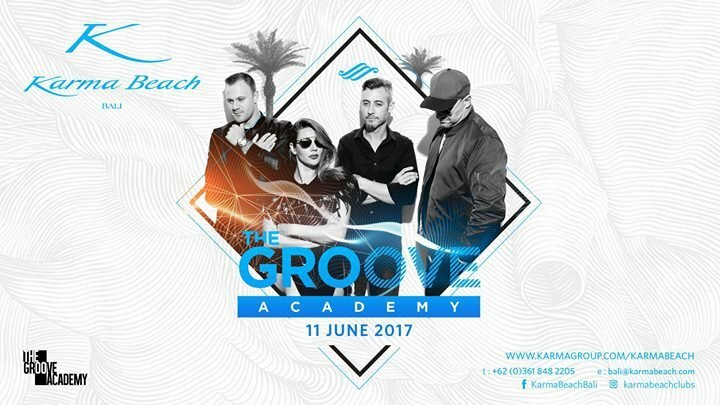 Karma Beach Bali hums to the eclectic, electric sounds of Australian festival mainstays, The Groove Academy. See one of Australia's top club and festival acts - support for the likes of Hed Kandi's Deep House Tour, Sneaky Sound System, and the Freemasons - at Bali's best beach club for a one-night-only party to remember. Dance barefoot on pristine sand, wear your festival best, and catch what's widely considered to be Bali's most stunning sunset view! Book early for only Rp. 500,000 and you'll automatically receive a Rp. 300,000 credit to spend on Karma Beach Bali dining and drinks, including inventive mixologist magic from Cocktail maestro, Nikos from Mykonos.